The chart that I want to share with you today is part of a (bigger) research project that I am doing with regard to the various phases in economic cycles and their relation to the (shape of) yield curve. 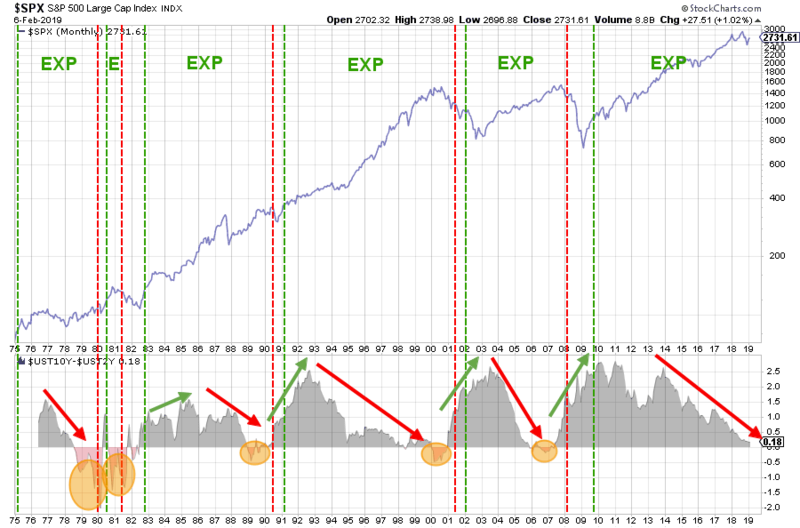 The chart above shows the S&P Index in the main panel. The panel below shows the difference between 10yr and 2yr yields on US treasuries. This 10-2 relationship is generally used to indicate a normal, 10yr > 2yr, or inverted, 10yr < 2yr, shape.